FULTON, IN. 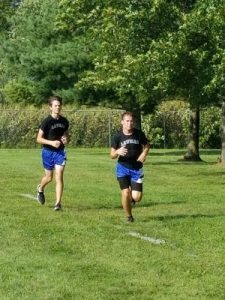 – The LaVille Co-Ed Cross Country program participated in the 20-team Caston Invitational. In the boys event, Connor Henry finished 85th to lead the Lancers, while Caleb Christy was 89th. Caston’s Mitchell Rans was the overall winner, touring the 3.1-mile course in 17-minutes, 13-second. Caston won the team championship with 69 points, followed by South Bend Adams with 89. Logansport was third with 98, Winamac at 102, and Frontier finished fifth at 116. In the high school girl’s race, Faith Rock was the top LaVille runner, finishing in 45th. Jozee King-Cook finished 77th and Eve Miller 80th. Frontier’s Myah Krintz was the overall winner in 21:15. South Bend Adams took home the team title with 30 points. Cass was second with 102 points. Logansport had 108, Winamac 115 and Frontier fifth with 126 points. 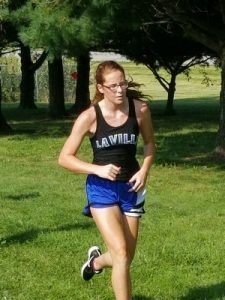 Lauren Edison was the top LaVille junior high female runner. Edison finished in 49th place. Atlanta Krom was 50th, Envy Hesch 68th, Mackenzie Menting 76th, Hailey Dewitt 101st, Meghan Menting 117th, and Aubrey Lille 118th. Lincoln Hulsey was the top LaVille junior high male runner. Hulsey finished in 25th place. Cody Allen was 37th, Colin Christy 64th, Sam Sherk 77th, David Rock 81st, Ryan Maenhout 84th, and Jayeden Lewis 85th.